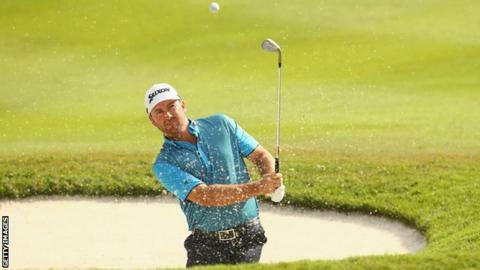 Graeme McDowell lies 12 shots off the pace after firing a level-par 72 in Saturday's third round of the Malaysian Open in Kualar Lumpur. The 2010 US Open winner from Portrush, who was tied for the lead after the first round, carded two birdies and two bogeys to end on five under. Peter Lawrie (75) is next best of the Irish on four under with Belfast's Michael Hoey (68) three under. Austrian Bernd Wiesberger holds a two-shot lead over Alejandro Canizares. Defending champion Lee Westwood, joint leader after both days, is 14 under with fellow Englishman Paul Waring. Paul McGinley, who captained Europe to Ryder Cup success in September, is well back on six over following a 77.